^ Brussels. City-Data.com. [10 January 2008]. ^ 9.0 9.1 E!Sharp magazine, Jan-Feb 2007 issue: Article "A tale of two cities". ^ Wheatley, Paul. The two-seat parliament farce must end. Café Babel. 2006-10-02 [2013-09-13]. ^ Stark, Christine. Evolution of the European Council: The implications of a permanent seat (PDF). Dragoman.org. [2007-07-12]. （原始内容 (PDF)存档于2007-07-09）. ^ Vucheva, Elitsa. 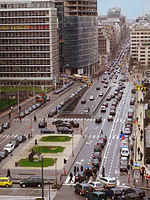 EU quarter in Brussels set to grow. EU Observer. 2007-09-05 [2007-09-27]. 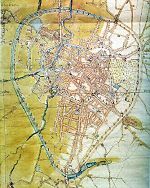 ^ 17.0 17.1 （荷兰文）”Taalgebruik in Brussel en de plaats van het Nederlands. Enkele recente bevindingen” 互联网档案馆的存檔，存档日期2009-01-14., Rudi Janssens, Brussels Studies, Nummer 13, 7 January 2008 (see page 4). ^ Manneken-Pis schrijft slecht Nederlands. Het Nieuwsblad. 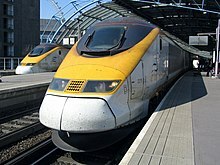 2007-08-25. （原始内容存档于2008-04-28） （荷兰语）. ^ the official VGC figures for February, 2006 互联网档案馆的存檔，存档日期2008-02-10. 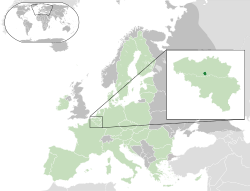 ^ Presentation of the Université libre de Bruxelles. Université Libre de Bruxelles. [2007-12-09]. （原始内容存档于2007-12-03）. ^ About the University : Culture and History. Vrije Universiteit Brussel. [2007-12-09]. ^ Institution: Historique. Facultés Universitaires Saint Louis. [2007-12-09]. （原始内容存档于2007-12-23）. ^ Katholieke Universiteit Brussel. 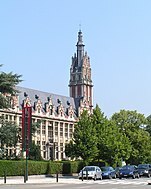 Katholieke Universiteit Brussel. [2007-12-09]. （原始内容存档于2001-11-22）. ^ What makes the RMA so special?. Belgian Royal Military Academy. [2007-12-09]. （原始内容存档于2007-12-28）. ^ Petite histoire du Conservatoire royal de Bruxelles. Conservatoire Royal. [2007-12-09]. ^ Koninklijk Conservatorium Brussel. 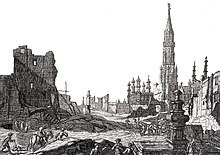 Koninklijk Conservatorium. [2007-12-09]. （原始内容存档于2006-10-13）. ^ L'histoire de l'UCL à Bruxelles. Université Catholique de Louvain. [2007-12-09]. （原始内容存档于2007-11-14）. ^ ISB Profile. International School of Brussels. [2007-12-09]. （原始内容存档于2007-10-17）. ^ Background. Schola Europaea. [2007-12-09]. （原始内容存档于2007-12-31）. ^ Belgian N roads. [2010-06-29]. （原始内容存档于2010-05-29）. Virtual tour 360° From Brussels !